A few weeks ago I dropped my external hard-drive (Western Digital 1TB) and it has been making a beeping sound but cannot be accessed. I used the information available on http://data-recovery-tips.co.uk/ to help me get the drive working again and then I sent in to Fields who had initially told me that it was recoverable after the test. After much trying to get in contact with them after this and what I feel was below par customer service, they asked for the encryption password (they couldn’t log in) and only then they told me that it was unrecoverable. 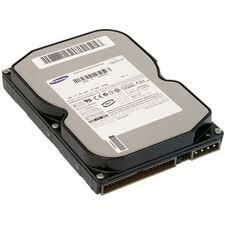 Recovering the data from hard drives like this Samsung that has been dropped is best left to a data recovery company! I dropped my external hard drive and now when I plug it into my laptop it clicks and won’t load the data. Would you be able to try and recover the data for me? The computer can not get access to the external, it takes more than 10 minutes trying to get in and when the time pass shows on the screen “unreadable” or “empty” or “not recognise”. On this time is always doing the same sound like trying to read the disc but stuck on the same point. The hard drive is no longer being detected by my Mac. It’s made by Samsung and dropped it. I have changed the wires, the power, and checked it against other hard drives which connect fine to my Mac so it must be something wrong with the drive. The power still comes on and you can hear it boot up. I am a videographer and have a couple of recent shoots on there which are yet to be backed up so I really could do with getting this looked at asap! Seagate Backup Plus Slim 1TB, suspect it’s suffering from click of death, as it’s putting out a constant pattern ticking sound. I already opened the drive to check if it was a stuck head, but the head was parked. I immediately closed back the drive. The drive is recognised in Windows, it shows as a connected device and the name of the drive is showing but the volume is not being mounted, so it doesn’t show in Explorer. It probably has something to do with me dropping the hard drive a few days ago. My 1TB WD My passport USB 3 hard drive is not being recognised anymore. The back light turns on when I connect the HD to the laptop and I heard the usual noise it normally does but that’s it.